Fully floating arm construction and elasticated stretch panel on the back for excellent, anatomical performance fit. Featuring new aggressive design and exciting colorways, the Alpinestars GP Race incorporates an aramidic two-layer construction for comfort and protection. Certified to FIA homologation standards, the lightweight Alpinestars GP Race Suit features a fully floating arm construction and elasticated stretch panel on the back for excellent, anatomical performance fit. Featuring new aggressive design and exciting colorways, the Alpinestars GP Race incorporates an aramidic two-layer construction for comfort and protection. 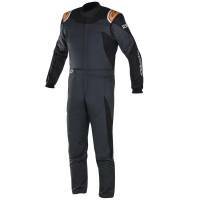 Pit Stop USA offers Alpine Stars 2017 GP Race Auto Racing Suits 3355117 at low everyday prices. 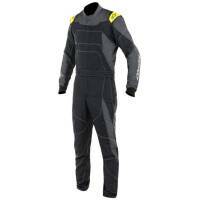 Be sure to check out all of our products from Alpine Stars including Alpinestars Auto Racing Suits.